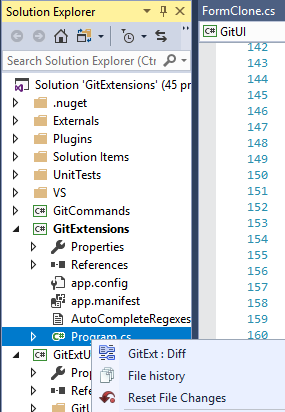 Almost all function can be started from the GitExt menu in Visual Studio. 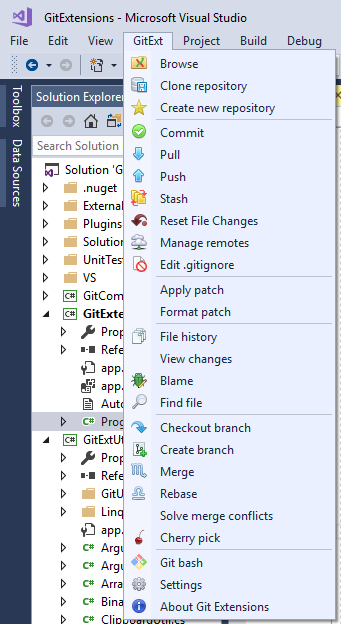 A Git Extensions toolbar allows you to perform the most common actions. The buttons can be customized, same functions as in the menu. The current branch name can be shown in the commit button. View the file history by choosing the ‘File history’ option. Reset the file changes to the last committed revision.